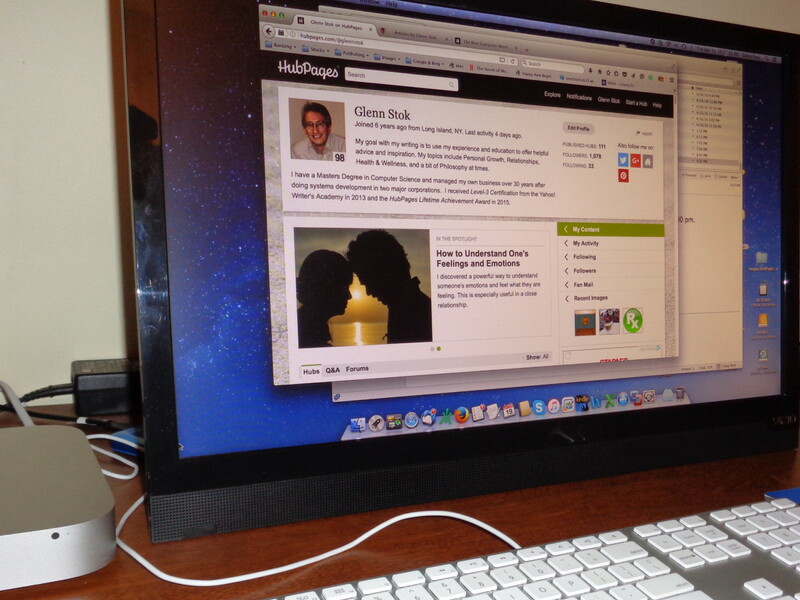 Want to save space in your home office? Or, like me, if you like to multi-task, would you like to have the convenience of switching from TV to computer by pressing one button? I was recently in the market for a new flat panel monitor to replace my old large monitor for my secondary computer. I wondered if I could buy a flat panel TV around the same size and use the TV as a computer monitor. This would save me money and at the same time, save me space. I was thinking of adding a small TV to my home office anyway to catch the news or my favorite TV show once in a while, but other than mounting it on the wall, I didn’t really have a place for it. So I decided to buy a TV and put it right on the corner of my desk, so if I wasn’t using the computer at the moment, I can switch to TV mode. I shopped around and asked a lot of questions in stores to find out what kind of TV I needed to buy. I was told that I needed a TV with HDMI connectivity. HDMI stands for High Definition Multimedia Interface. It supports TV or video format. I was told that using that connection would provide the best quality. Later, I also figured out that I could also use the RGB port on the back of the TV and connect that to the back of my computer’s CPU (without using the HDMI connection). 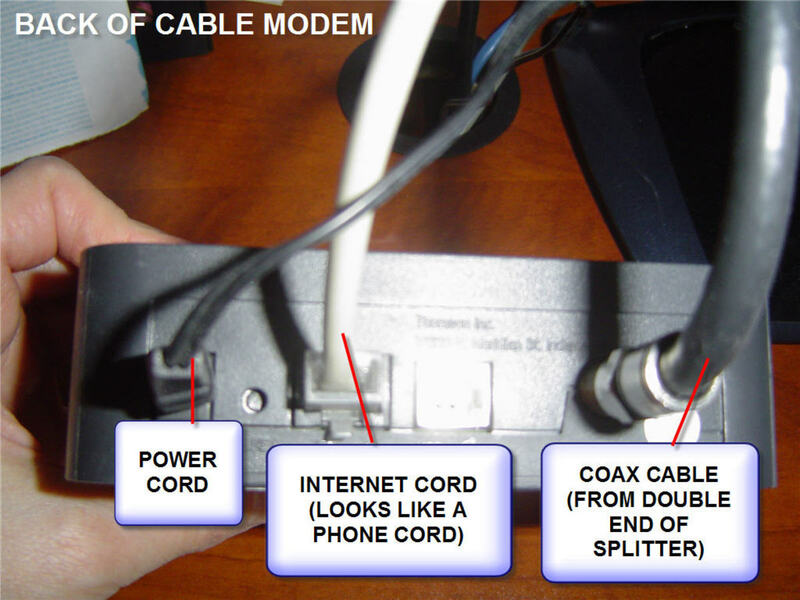 If I use the RGB port with a coax cable vs. the HDMI port with and HDMI cable, I might not get the same quality as I would as compared to using an HDMI cable, but it was another option. As far as a brand, I went with a reputable brand, based on user reviews and recommendation by the sales technician. My final purchase was a 19” Vizio LCD HDTV, for $178.00. Connectivity instructions are explained in more detail below. 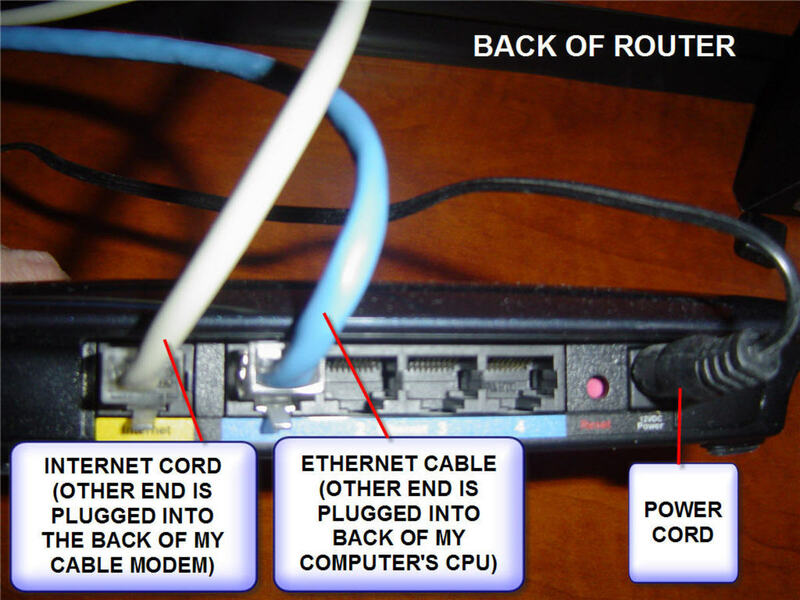 What Kind of Cabling and Accessories Do You Need? While still at the store, I wasn’t sure if I needed to buy an HDMI cable just yet. This was because the sales technician mentioned that an HDMI cable might be something that our cable company could provide. Plus, I knew I had the option of using the RGB port. The sales technician stated that he was able to get a free HDMI cable from his cable company. He simply called and asked for one, and since he was a loyal customer for over 20 years, they provided him with a cable. I decided to wait until I got home to check and see what cables I may already have on hand before purchasing any additional cables. 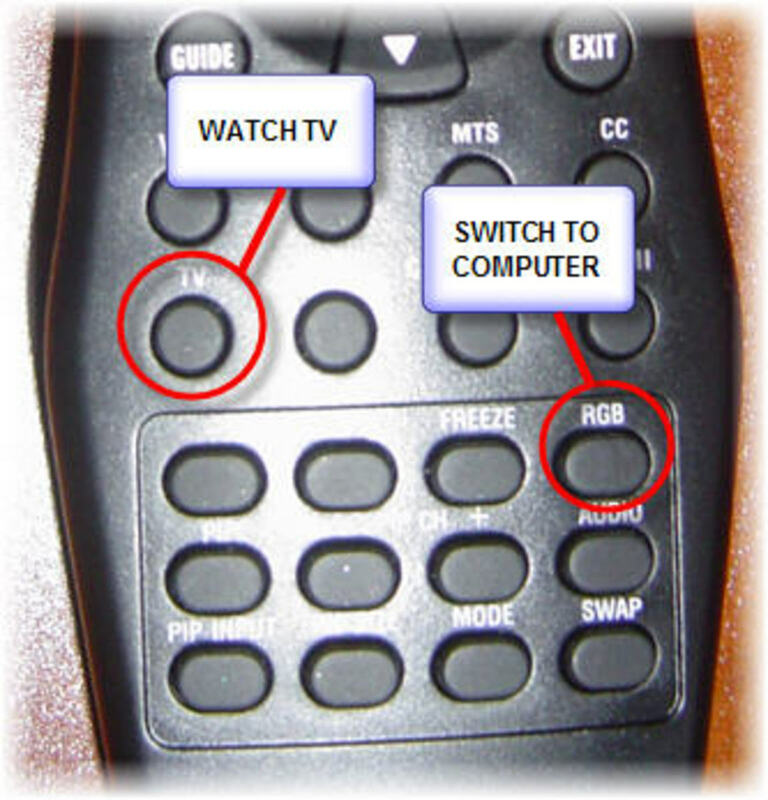 To switch between my computer and your TV, I just use either TV button, or the RGB button on my remote control to switch back and forth. Did I leave anything out? If I did, let me know and I will try to help. Please note: Connectivity may vary depending on the type of equipment you have, and the type of internet service you have as well. I went from a VGA to an HDMI adapter, and it did not work. Why is this? After you switch from the VGA to the HDMI adapter, did you change to HDMI in the auxiliary setting? When I want to switch to the TV mode, I press my HDMI button on the remote for my Vizio TV remote and this switches it to TV mode (at that point, a message appears on my screen that I have to press MENU on my Verizon FIOS remote and then I can change the channel and watch TV). Then when I want to switch back to use my TV as a monitor, I press RGB on my Vizio TV remote; for the latter, if my computer is off or in sleep mode, it says there is no RGB signal, and the TV turns off. If you have a large smart TV, and a newer computer, you may not have an RGB option (for the computer connectivity) so the option may be different; for example, if I want to plug my laptop into my large smart TV, I would use an HDMI cable to do so and then change my source from Cable to HDMI. 5 months ago from U.S.
Hi Bill, So, although this article explains how to connect your TV to your computer as a monitor (via VGA and coax cable connection), I have also connected one of my laptops to my large screen TV in another room (it's a Samsung, flat screen big TV), and here's I get that to work: I connect an HDMI cable directly from from my laptop to my TV (both of which have HDMI ports); then I press "Source" on my TV remote and I change my source from Cable to HDMI. So in this case, I don't use a VGA cable at all (in fact, my laptop doesn't have a VGA port). I also plug in my wireless keyboard and mouse connector into the USB on my large TV. 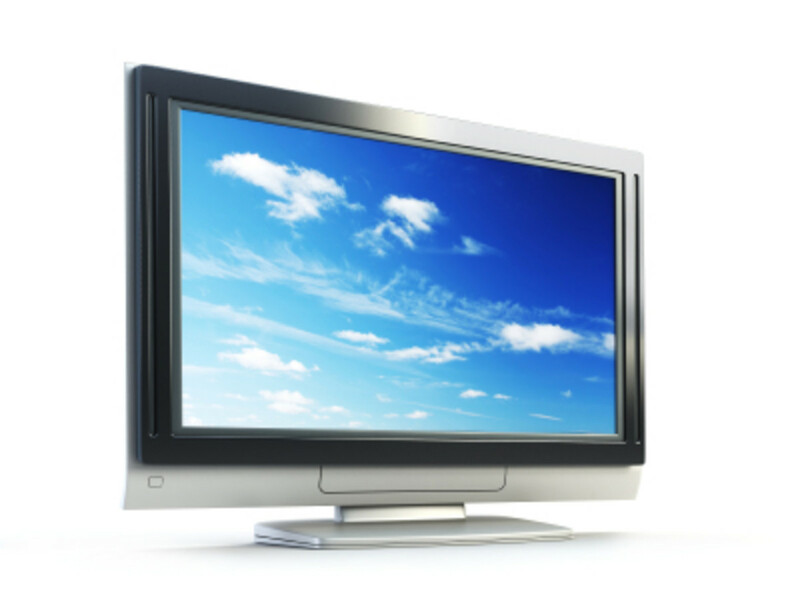 How old is your TV and how old is your PC? Depending on the age of the equipment, you may or may not have HDMI ports on both. If you don't have HDMI ports on both, let me know what ports are available and I'll try to help further. 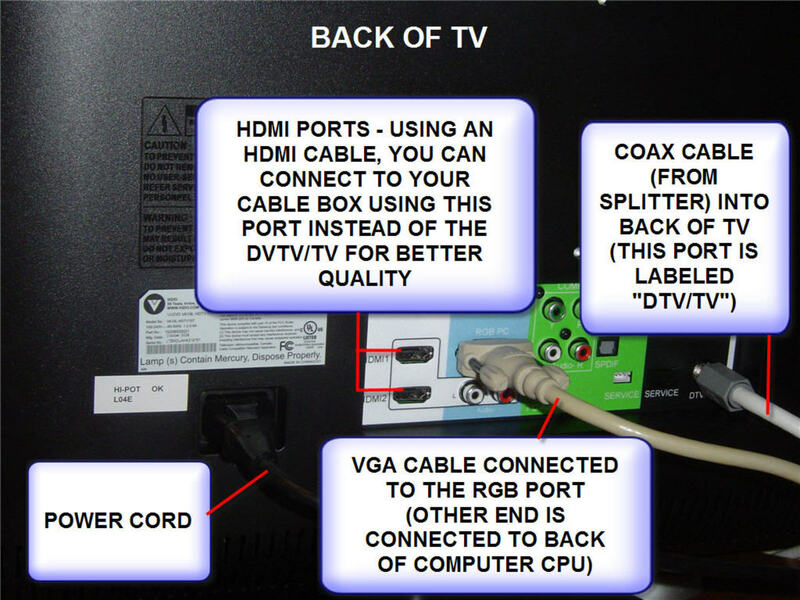 One more note, dccook, or for anyone else connecting your computer to TV, if you have a new TV, and a new computer, there should be an HDMI port on each so you can use your HDMI connection to connect the devices, instead of going the RGB route. You might have to buy the HDMI cable. Please let me know if you've tried this and how it's worked out. 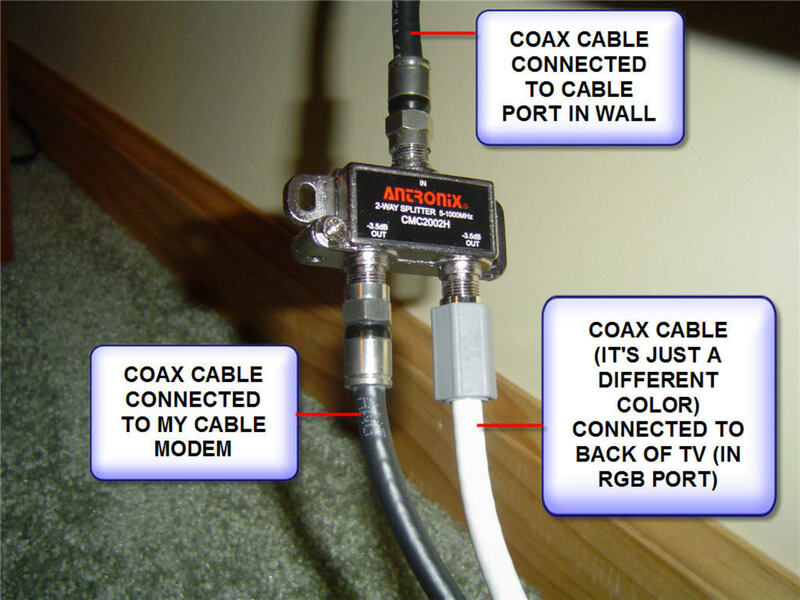 Dear dccook, Is your coax cable from your wall (for cable) connected to your DVD player, then from your DVD player, you have a cable to your TV? 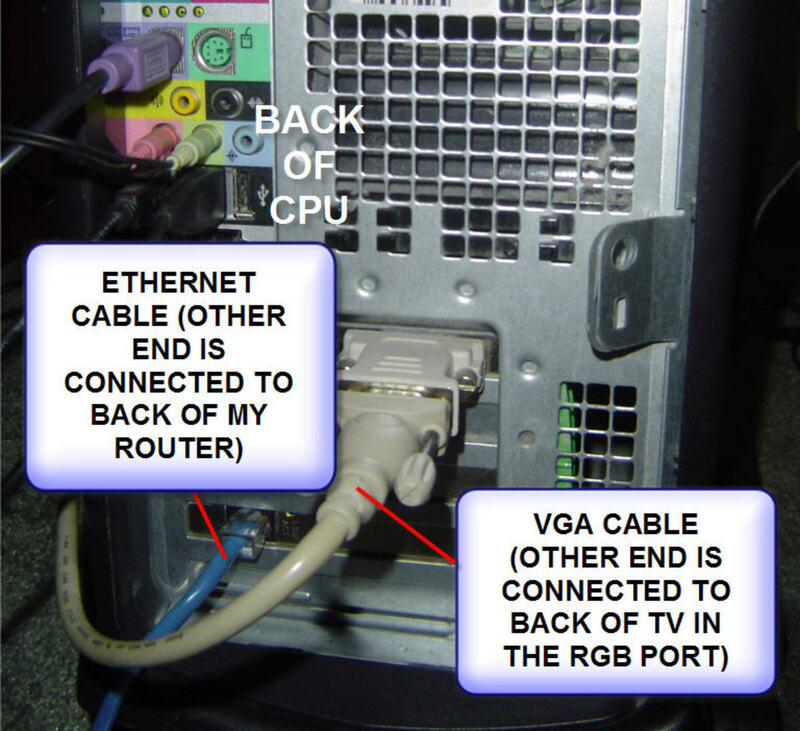 I think all you would need to do is connect your VGA cable from the back of your computer CPU, into the back of your TV, similar to my picture where I have my VGA cable connected to the back of my TV and it is labeled RGB space PC. Then select that input when you want to use it (as in the end of my article when I switch from my computer to TV). 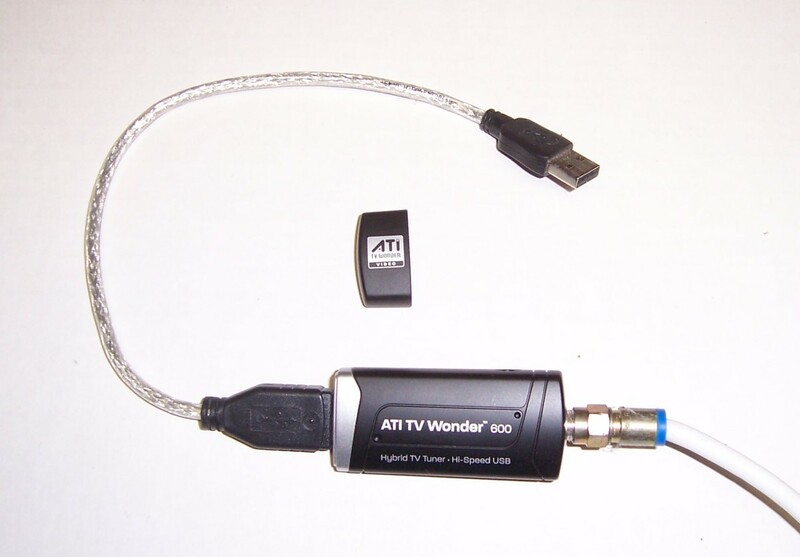 In general though, you don't need to connect your computer to your DVD, but instead connect your CPU directly into your TV. I hope this works. However it also depends on what kind of TV you have and how old or new it is. Let me know if this worked. finally i was able to connect my TV and my computer. Hi Totty, if you tried another monitor and that display is fine, then you can safely say that the original monitor is in need of a tune up or repair. 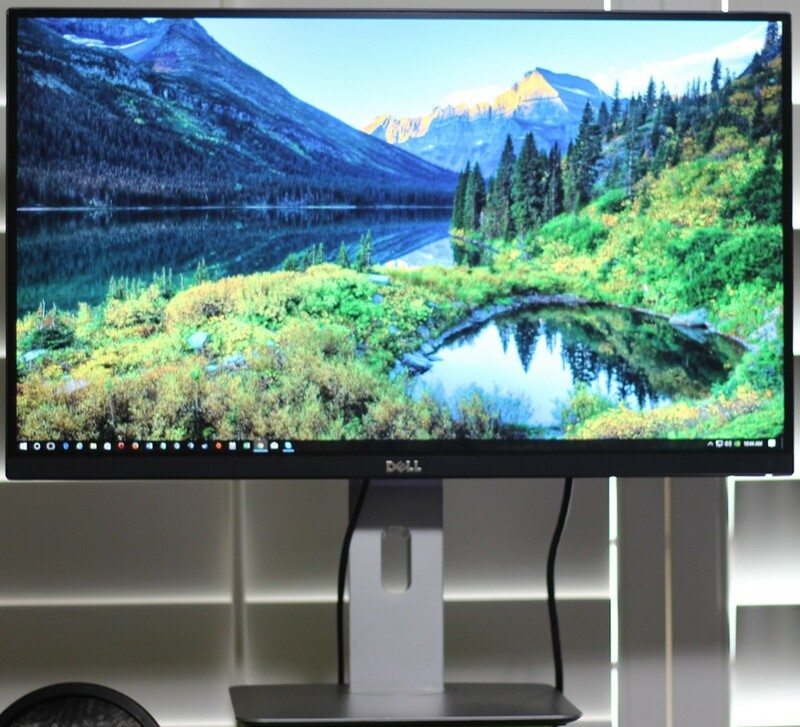 To be perfectly sure, you can try connecting the monitor in question to a different computer and I would guess that the monitor would still be blurry or having issues. At this point, your best bet would be to take it to a repair shop for further troubleshooting. Then you can decide if it's worth fixing or if you need to buy a new monitor. Hope that helps. Good luck with the repair! @easylearningweb, thanks alot for your tips. The diplay was perfectly ok when i connected another monitor. I tried what u said bt d function keys, F6 or F8, did not display anything for me to adjust the graphic display of the monitor. 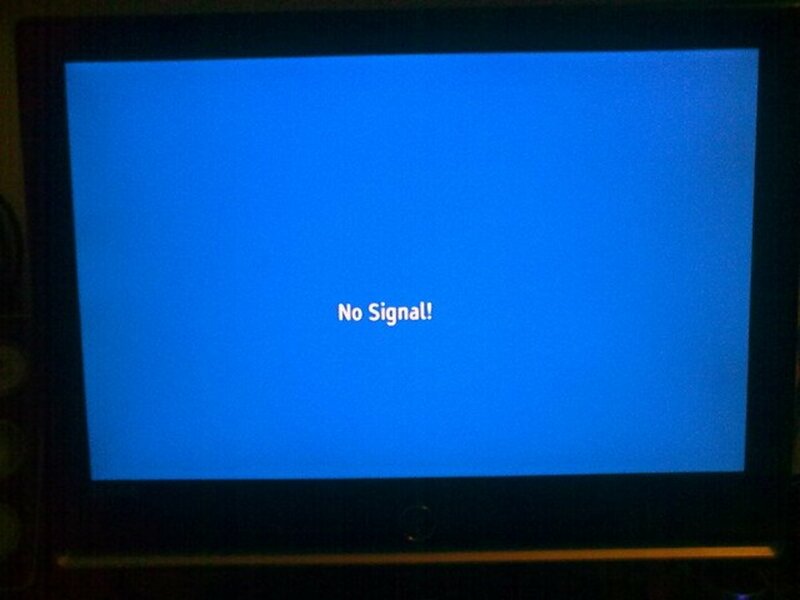 Could it be that the monitor is completely damaged or i should proceed wt taking it to a tech expert for repair? Dear Totty, thanks for your Hub comment, and sorry to hear that your monitor is not working properly. There are a few things you could try. First, power down, then disconnect and then reconnect your monitor into your CPU. Then power on your monitor , then your PC. If problems persist, reboot again and then look for a function key for set up which is usually F6 or F8 depending on your system. This will give you access to your configuration so you could check your video display selection, in case that got changed. The other thing you could try is to connect a different monitor into your PC to narrow down the problem. For example, it could be the video card in your CPU, or to be a problem with the monitor itself. Finally if all else fails, I would recommend taking the monitor to a local tech shop, like their tech repair department at Staples. They will be able to troubleshoot your monitor for you. They might do that for free or charge you a small fee in order to give you an estimate of what it would cost if it needs repair. I hope that helps. thanks alot for this great information. Pls i need help. I formated my pc but after reinstallation, the monitor display became blurred and dim. Pls what do i do. I use compaq monitor. Thanks. What a helpful hub, with great illustrations and easy-to-follow instructions. Thank you for taking the time to share this excellent how-to. Good illustations. Excellent writing. Thank you, maybe now I can really do it. I'm glad you find this hub helpful...that's my goal, to write helpful hubs that others can really benefit from. Glad I could help! Thanks for your comment. Great Hub! I've been wanting to do this forever. Thanks bunches for the information. Up-rated. You make it looks so easy to set up. Pictures and all. Glad you found it helpful. I'm proud to say I'm a computer nerd, but I think I like computer guru better. LOL. I'm planning on writing a lot more computer related hubs. Wow! This is soooo helpful! I'm a tech dummy!